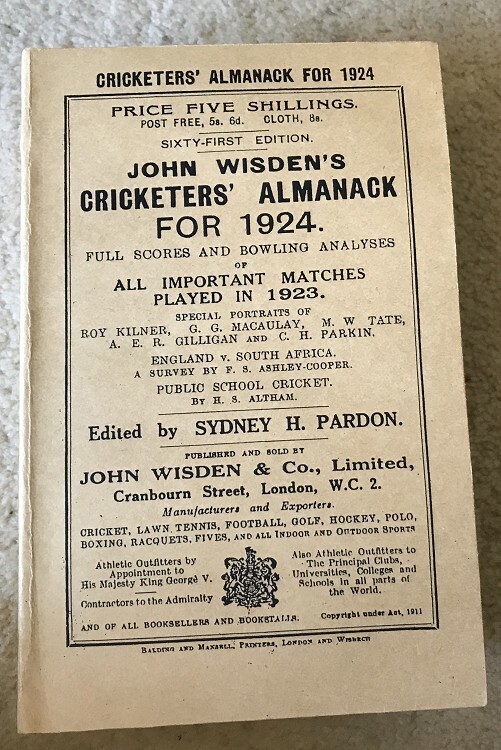 This lot is an 1924 Wisden Paperback with facsimile Spine and Covers. In Very Good Condition. The covers and spine are new and well made, internally nice and clean rubberd out mark to page iii with excellent photoplate. A tightly bound, presentable Wisden and if you dont mind the facsimile exterior a super book at a great price.